In the aftermath of Ferguson, we need to rededicate ourselves to ending racist policing, cruel and dehumanizing prisons and a criminal “justice” system which produces little or no justice. At this moment of heightened awareness, please make a donation so that we can build on our many years of work. You can make a tax-deductable donation to the Real Cost of Prisons project by donating to its fiscal sponsor, the casino games namesCommunity Futures Collective, and designating the funds for RCPP. Click the button below to go to Community Futures Collective's secure online donation page at Network for Good, a clearinghouse for online donations. Or if you prefer, send your check to the CFC, 1137 Meadowlark Dr. Fairfield, CA 94533. Please make your check payable to Community Futures Collective with RCPP in the memo line. Be sure to specify the Real Cost of Prisons Project in the "Designation" field of the donation form. If you have questions about making a donation, please contact . Comic by casino games names. 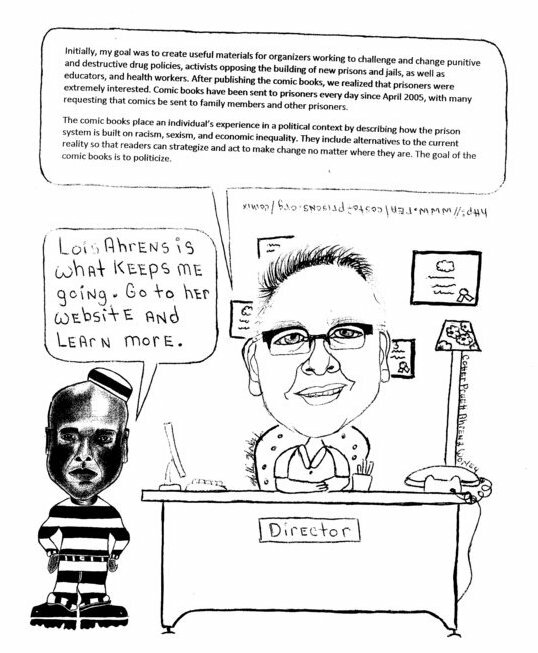 The quote is from an interview with Lois Ahrens, Director of the Real Cost of Prisons Project, by Hans Bennett. The full interview can be read on FireDogLake.